California State University Long Beach awarded a new 7,000 SF alumni center to John Friedman Alice Kimm Architects. The structure will be designed to meet LEED Silver and Net-Zero Energy standards, and project process is expected to start in January 2019. JFAK Associate Derek Greene will be featured for the fourth year running in the annual Unfrozen Music, a free concert that explores the intersection between music and architecture through classical piano, indie rock, blues and jazz. Five talented musicians and architects from firms across Los Angeles will showcase their musical talents at the event, whose theme is "Home". Donations from the concert will benefit Habitat for Humanity Los Angeles. "I've been playing piano since I was 9 years old. I look forward to Unfrozen each year, since it is a good way to motivate myself to continue honing in my craft and a way to share a part of me that a lot of people don't always have a chance to see. At this year's Unfrozen, I'm excited to share three pieces that, in some way or another, remind me of either a time or someone special from back home in Chicago," shares Derek. Read more about this concert series, created by Craig Shimahara of Shimahara Illustration on www.unfrozenmusic.com. Join us for a luncheon showcasing the new book Fifty Under Fifty: Young Architecture Innovators of the 21st Century. The luncheon features a discussion and Q&A with JFAK's Alice Kimm and Minarc's Erla Dögg Ingjaldsdottir. The luncheon will take place Tuesday, January 17th at the Ebell in Los Angeles, at 11:30am. John Friedman Alice Kimm Architects(JFAK) was honored to be recognized at the 11th Annual Interior Design Best of Year Awards. 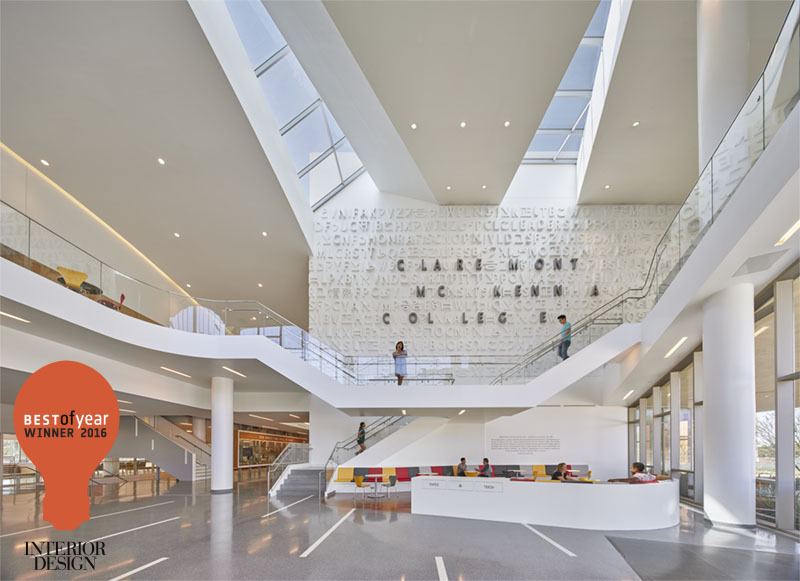 JFAK's Roberts Pavilion, at Claremont McKenna College, won in the Fitness Category, and the La Kretz Innovation Campus was an honoree in the Office: Large Creative/Tech Category. This year, the Best of Year Awards had 2,016 entries, from 38 different countries, in 130 product and project categories! On December 1, 2016 over 900 people from the design community (designers, architects, manufacturers and friends) gathered at the state-of-the-art Frank Gehry design, IAC Building at 555 West 18th Street in NYC. The auditorium was standing room only, as the winners were announced live by hosts Cindy Allen, Editor in Chief, and Carol Cisco, Publisher of Interior Design. Completed in September 2016, Roberts Pavilion is a state-of-the art athletics, fitness and events center for Claremont McKenna College and the athletic center for the Claremont-Mudd-Scripps intercollegiate, intramural, and physical education programs. Anticipated to be LEED Gold-certified, the Pavilion features a state-of-the-art fitness center and a generous venue area with a seating capacity of approximately 2,200, which provides hosting opportunities for important college and community events. It recently earned an AIA|LA Design Award. 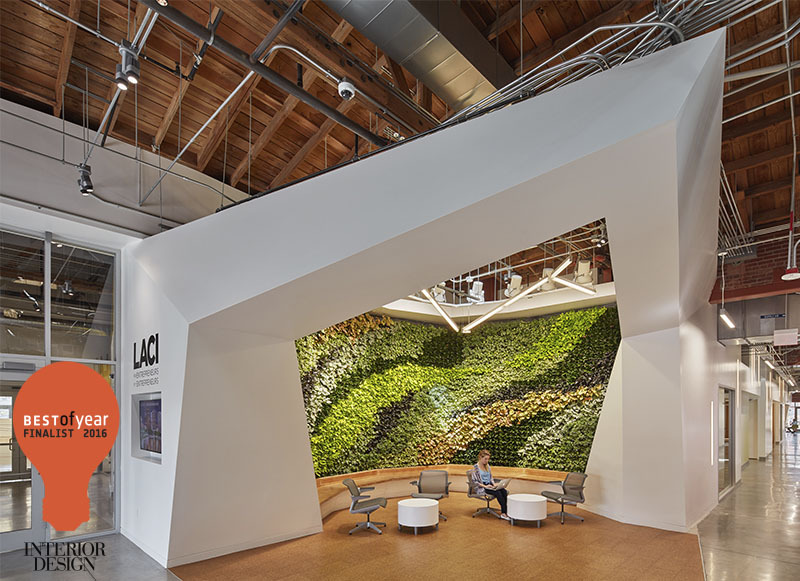 La Kretz Innovation Campus (LKIC), Los Angeles’ new cleantech innovation hub, is a place where entrepreneurs, engineers, scientists, and policymakers can collaborate, promote and support the development of clean technologies and LA’s green economy. The fully renovated 60,000 square foot facility is located in the dynamic Arts & Innovation District of Downtown Los Angeles. Anticipated to be LEED Platinum-certified, the Campus utilizes state-of-the-art green technology including a 175 kilowatt photovoltaic solar canopy, fast charger EV stations, bioswales, and LA’s first public greywater filtration and microgrid systems. It was recently honored as part of AIA|LA's first ever COTE LA awards. JFAK Associate Derek Greene was featured for the third year running in the annual Unfrozen Music, a free concert performed by an eclectic mix of Los Angeles area architects. Musicians/architects from firms across Los Angeles explored the intersection between music and architecture through classical piano, indie rock, blues and jazz. "Structure, form, movement, cadence, light. 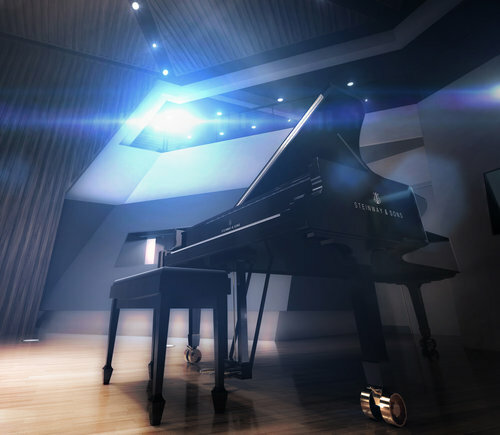 The overlapping language often used to discuss work in the fields of both music and architecture represents only a prelude to the profoundly intimate duet shared by these two great art forms. Goethe’s assertion that architecture is frozen music goes the farthest by suggesting that in their essence the two are ultimately variations of the same thing," shared Craig Shimahara, of Shimahara Illustration, producer of the event. Now in its eighth year, the event took place on the MLK Auditorium stage at the main branch of the Santa Monica Public Library. Read more about this concert series, created by Craig Shimahara of Shimahara Illustration, on ArchDaily. Check out JFAK Principal Alice Kimm's TEDx Talk "What Architecture Can Do For You"